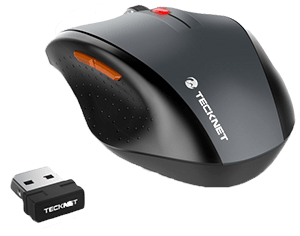 One of the best selling wireless mousses is the incredible TeckNet 2.4G Nano wireless mouse. The TeckNet 2.4G Nano has a really comfortable size for your hands, which makes it really nice to use when surfing the Internet. That’s also why it’s one of the best selling mice on Amazon. The buttons and features of the mouse work flawlessly on a Microsoft system, but the extra mouse buttons on the left hand side do not operate correctly on Mac devices. I tested it on a MacBook Air. The TeckNet 2.4G Nano wireless mouse is technically not classified as a cheap gaming mouse, but it has some physical appearance of a gaming mouse. 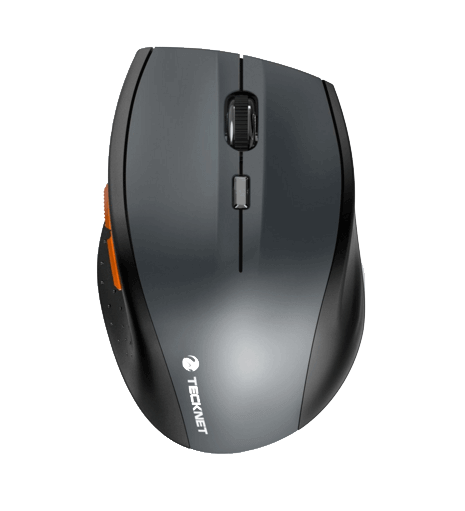 I played some CS: GO with this mouse and found out that, it’s a really good overall mouse both for gaming or personal use to for the price. I could use this mouse the whole day for without getting tired of using it. If you have worked with Photoshop before, you would know that it needs precision. And I would say that the TeckNet 2.4G Nano is good enough mouse for photo editing, it never skipped or lagged on me so far. So, I can safe and sound say that for normal use, this cheap wireless mouse is more than capable. Like on every mouse, the buttons on this TeckNet 2.4G Nano can be modified, even though it does not have as many buttons as a regular gaming mouse. I would personally say, that three buttons would suffice to handle most of the RPG and FPS games. Of course, it’s not a better mouse than a Razer gaming mouse. It has fewer customization options and its precision is not quite up with the Razer. All this depends on which level you play all these games. However, it also costs 80% less. The TeckNet 2.4G Nano uses batteries. The battery life of this mouse is incredible. Many people say on the internet that they have owned one of these mice for roughly seven months and they have only needed to change the battery once. The Wireless mouse is easy to set up. Simply insert an AA battery, plug the receiver into a USB port, and start using the mouse. The computer may need a few seconds to detect the mouse the first time you attempt to use it. The speed is adjustable to three preset speeds to fit your need in gaming. Personally found this useful when playing different kinds of games like CS:GO. The mouse is easy to set up. Simply insert an AA battery, plug the receiver into a USB port, and start using the mouse. The computer needs a few seconds to identify the mouse the first time you attempt to use it. A cheap wireless mouse but not a cheap design, wich is very important!